Display a line of text formatted as a heading. Use number signs (#) to specify up to three levels of heading. There is at least one space between the number sign and the title string. 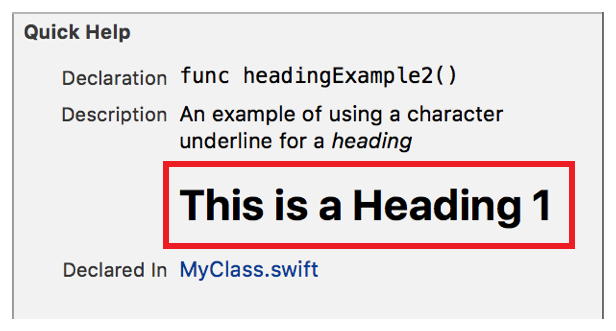 Alternatively, create level 1 and level 2 headings with an underline string. Underline heading 1 text with at least one equals sign (=). Underline heading 2 text with at least one equals sign (–). Create a heading using a number sign. Create a heading using the equals sign for level 1, or the hyphen for sign for level 2. 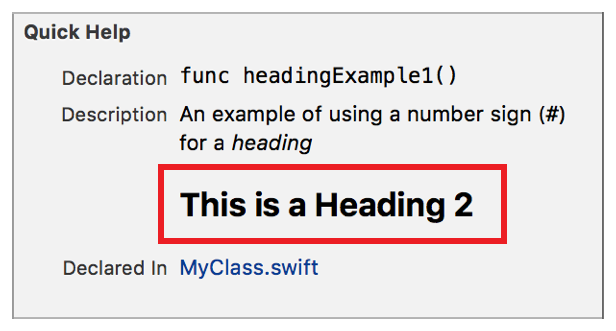 This example uses the same number of equal signs the number of characters in the heading string. Only one equals sign is required.